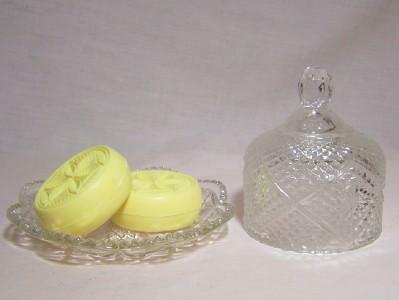 This fostoria butter dish is beautiful. 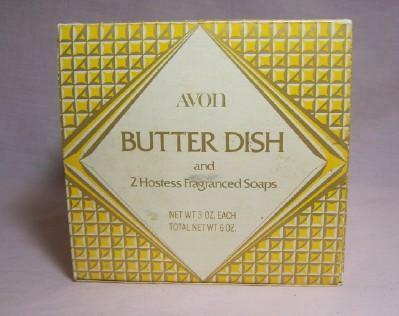 It's from the 1970's and still has the two soaps with it and they smell wonderful. The picture doesn't do t justice as it just sparkles in the light. 5" tall.